This is a free printable tracer sheet for smaller children that are learning how to write their letters. 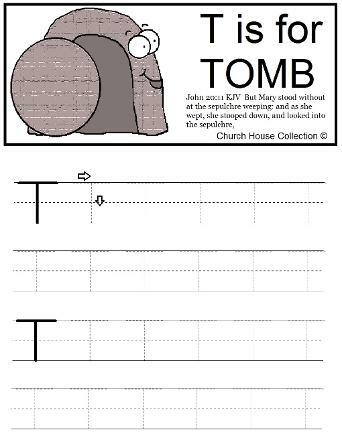 If you are doing a lesson over the Resurrection of Jesus and have very small children in your class you can print one of these out for them to do. This sheet has the scripture from John 20:11 on it. These would also work great for kids at home too. 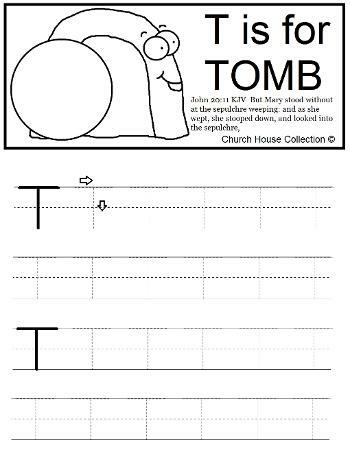 Tell them that tomb starts with the letter T. Jesus died on a cross and was laid in a tomb. After three days he came back to life. 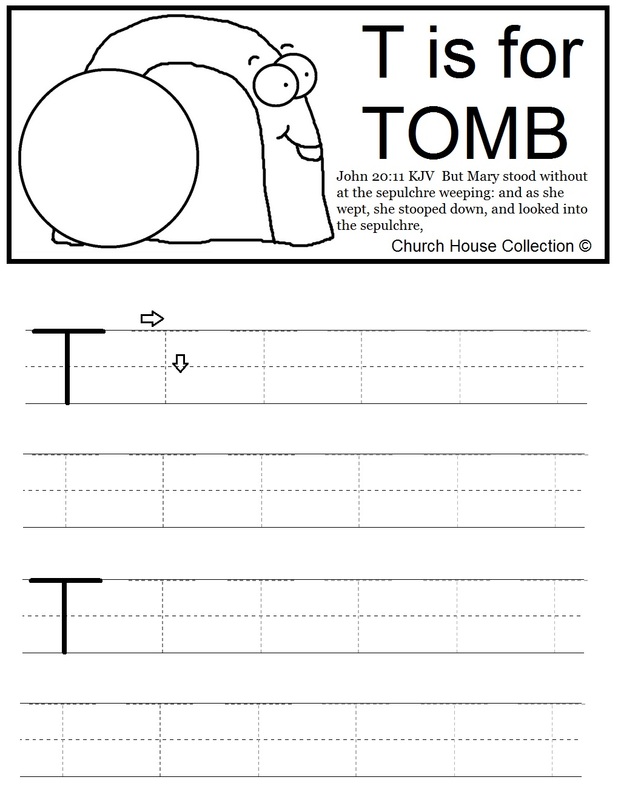 Use this sheet with our matching lesson plan "Resurrection Of Jesus Sunday School Lesson".